Genre icon Casper Van Dien (STARSHIP TROOPERS, ALITA: BATTLE ANGEL) plays himself in a clever spookfest from Emmy nominee Andrew P. Jones about a group of filmmakers shooting a movie in a reportedly haunted hotel that are faced with an unfathomable demonic force that possesses and attacks both the crew and the film’s star, Casper Van Dien. Will the film’s director be able to escape with the paranormal proof he has captured, or will he succumb to the hellish plans of the demon who has surfaced? 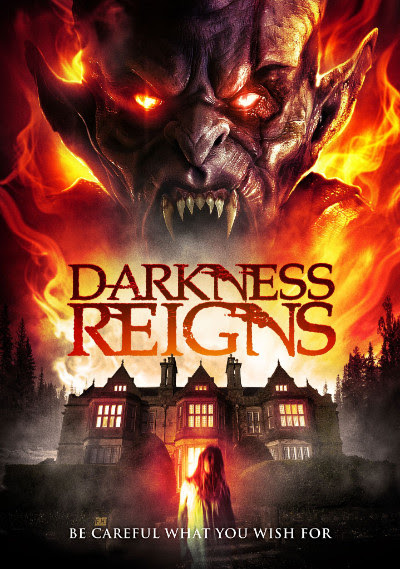 DARKNESS REIGNS is from director Andrew P. Jones (HAUNTING OF CELLBLOCK 11), and stars Casper Van Dien, Zachary Mooren (Aquarius), Linara Washington (Grey’s Anatomy) and Jennifer Wenger (TALES OF HALLOWEEN). Wild Eye Releasing will release DARKNESS REIGNS on VOD 10th July.